What we have here are three different old publications with Mickey Mantle on the cover. First is a 1953 Street and Smith's Pictorial Yearbook. Next is the 1957 Edition of True Baseball Yearbook. 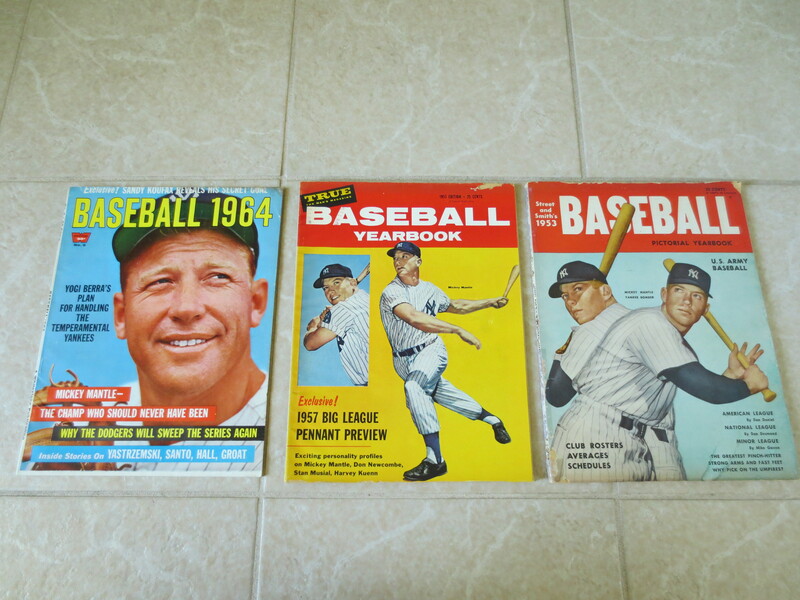 Finally, there is Baseball 1964 Magazine. A very neat group.